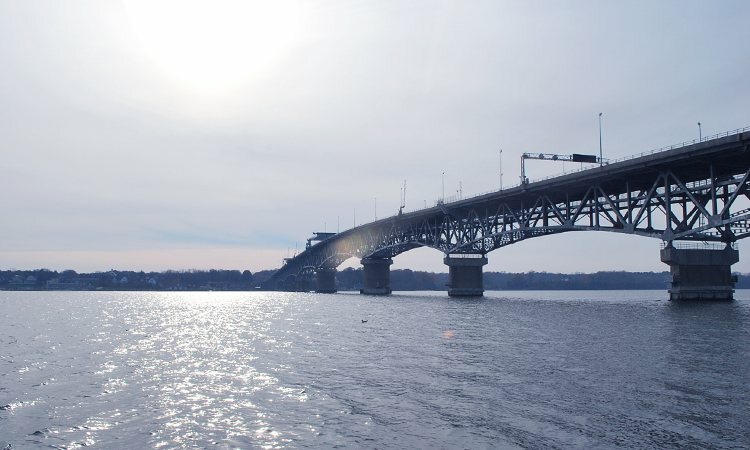 Gloucester County is located on Virginia’s Middle Peninsula, bordered by the York River, the Piankatank River, and the Mobjack Bay. The Ware, Severn, and North Rivers also flow through the county. These beautiful bodies of water make our county a great place for water activities for approximately 40,000 residents and thousands of visitors. Like most of coastal Virginia, Gloucester is crisscrossed by hundreds of miles of twisting, turning roads. Because of Gloucester County’s landscape, many of our roads have blind intersections that can lead to serious collisions, if drivers aren’t careful. In addition, this region has a high level of annual rainfall, which also increases the likelihood of a traffic accident. In 2017, 425 crashes took place on Gloucester roads - that’s more than one each day! Even more surprising, the number of fatalities per licensed driver in Gloucester was nearly 10 times higher than in Alexandria, Virginia, according to the Virginia DMV’s "2017 Virginia Traffic Crash Facts." Though there are more accidents overall in Alexandria City, a busy suburb of Washington, D.C., Gloucester drivers have a death rate of 0.28 deaths per 1,000 licensed drivers, while Alexandria only has 0.03 per driver! If you have been in a car, truck, or motorcycle accident in Gloucester County, we hope it was minor, and that no one was hurt. But if you or a family member were injured, our legal team at GibsonSingleton Virginia Injury Attorneys stands ready to serve you. We are dedicated to getting car accident victims the compensation they deserve. We especially like to help our neighbors here in Gloucester, where we live and work. Call us today for a free case meeting at (804) 413-6777. What car insurance laws are in effect in Gloucester County? While Virginia doesn’t require drivers to carry car insurance (instead, they’re allowed to opt out by paying a $500 fee), the Commonwealth does require drivers who carry insurance to have uninsured/underinsured motorist coverage. This helps cover the costs of an accident, even if the driver who caused the accident is uninsured or does not have enough coverage. However, insurance companies (even yours - the one you pay premiums to each month) are businesses. Their focus is making a profit. So there’s no guarantee your insurance company will offer you enough to cover all your losses. If that happens to you, you need an experienced Gloucester County personal injury lawyer to represent you against your own insurance company, and/or the other driver’s. We at GibsonSingleton Virginia Injury Attorneys are based in Gloucester, and we know most of the local adjusters you’ll be working with. We work smarter - and harder - to prove how much money you need after an accident with injuries. And believe us, you will probably need more than you think, before it’s all over. What are the true costs of an injury? A car crash that involves injury - even a minor one - will end up costing more than you expect. A ride in an ambulance to the emergency room at Riverside Walter Reed Hospital is just the beginning of a steady flow of bills that pile up as you get medical treatment for your injuries. And your bills don’t end there. You have to factor in the cost of follow-up visits to your doctor for more treatment, physical therapy, and possibly, the numerous costs of having a permanent injury. And of course, you’ll miss work for these appointments. Or you may be too injured to perform your work duties for a long while. In extreme cases, you may never be able to work at the same job again. You would then need to get training for a new occupation, or go on disability. All of these factors can cause a person, and his or her family, serious emotional distress, on top of the trauma of the original accident. At GibsonSingleton Virginia Injury Attorneys, we work with you to determine how much money to ask for on your behalf. We factor in your lost wages, loss of career and earning capacity, future medical treatment, mental health treatment, your pain and suffering, scarring and disfigurement, permanent injury, loss of joy of life, and even more as needed. Who can you count on after a Gloucester County car accident? A big insurance company’s top concern is typically not your well-being - it is their bottom line. They will likely try to get you to accept the lowest payout possible, regardless of the long-term needs of your family. Don’t accept that. We’re here to build a case that causes them to do what’s right for you. Call your local legal team, GibsonSingleton Virginia Injury Attorneys. When we take your Gloucester County truck accident or car crash case, it will cost you nothing. We get paid when we get you the compensation you deserve. To get started, call (804) 413-6777 for a free consultation.